Weight (unloaded/loaded): 23.65 oz./30.18 oz. If you could have only one pistol, you'd be foolish not to select this one. 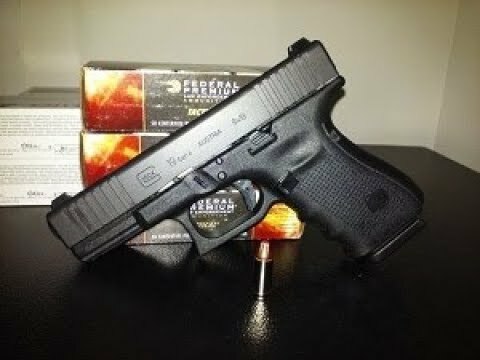 Well it is a Glock so it speaks for itself in quality. It comes with 3 std cap mags case lock with 2 keys a speed loader a nylon bore brush with rod and 4 different back-strap attachments (2 of those having beaver tails). I also have a Gen 3 22 and didn't think the half inch off each end would differ much but the 19 is easier/more comfortable to conceal. Ended up paying around 590 after tax and my $20 FFL fee which is fair seeing as the big retailers in my area want 600-650 for them before tax. The free shipping is 2 day air with tracking. I am happy with my purchase! Hope to do business with you guys again in the future!